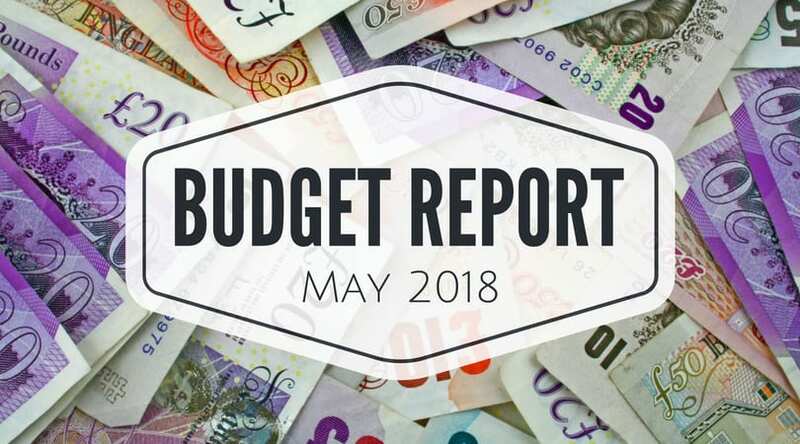 This was probably the worst month I could have started my Budget Reports on as it was a very spendy few weeks for us but I’ve always said I would be honest and up front when it comes to money and blogging about it. 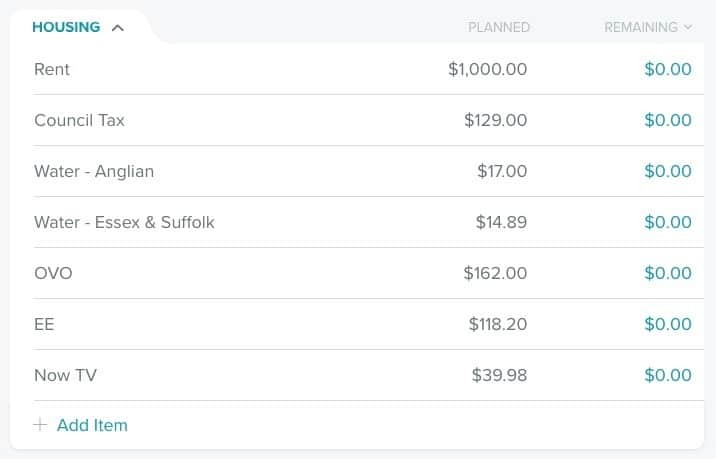 These are all fairly self-explanatory costs but I’m going to explain some of the higher ones as, like I said, this was an overly expensive month for us. You will notice that all these numbers are in $ instead of £’s this is because I use the EveryDollar website to do my budget and it’s meant for the US and Canada, the numbers are all the same so you can just ignore the $ prefix. 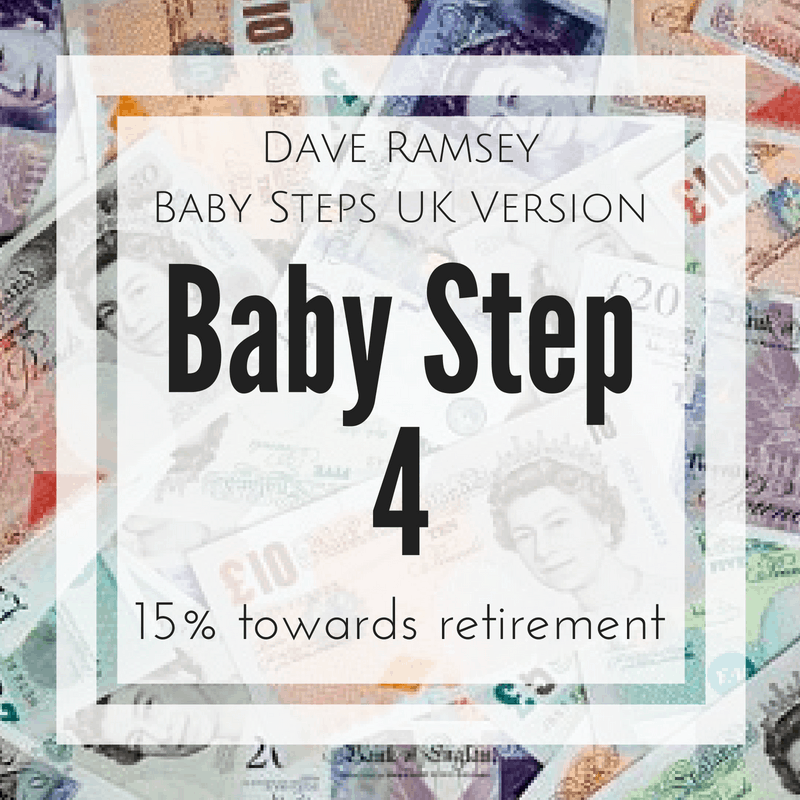 Rollover – Our payday is the 15th of each month but our budget runs from the 1st of the month so too keep everything balanced we need to have a ‘rollover’ amount month to month. 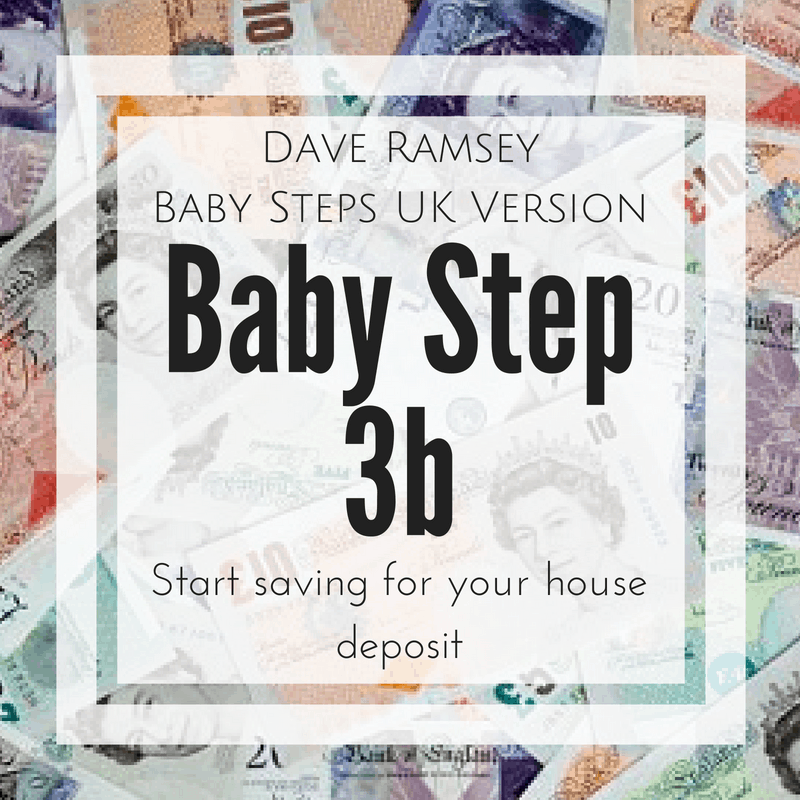 This makes sure that the envelopes can be filled on the 1st of the month and any direct debit that come out between the 1st and 15th are covered. Charlotte/Dean – We don’t pay our full wage into the Joint account each month (this is just our personal preference and it’s what works best for us), it took us a few months to work out the best amount to pay in each month but we have decided that £1.5k each is enough to cover all bills and still be able to throw a good chunk at debt and cash flow projects. 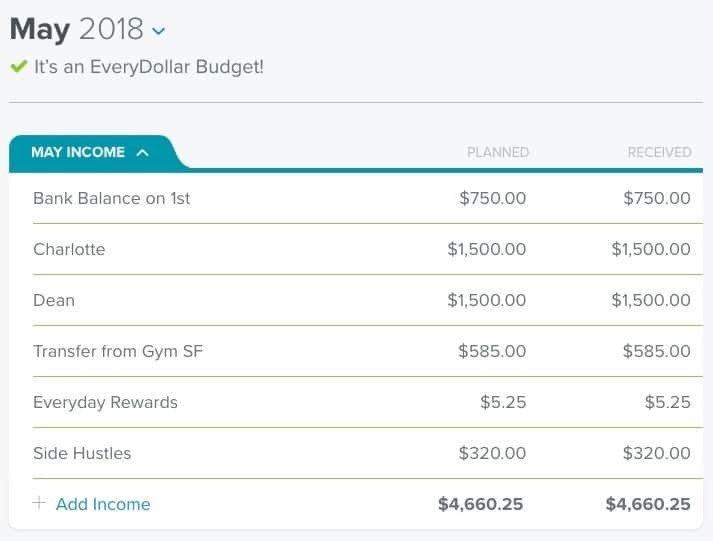 Side hustles – This is my favorite part of this month Budget Report as it’s more than I’ve ever made from side hustles before! I actually made £460 in total but I’ve left some in the bank to cover blog expenses and took £320 as wages and put an extra £80 away to cover things like tax at the end of the year. For those of you who are interested in the breakdown of this £460 – £200 was from our craft businesses and £260 was from the blog!! OVO – This should be around £100 a month as it covers both our gas and electric, it’s so high at the moment as we were in deficit quite a lot over winter. We used more than usual from about October last year when we had a litter of puppies born and it turned out to be quite a cold winter so we wanted to keep the house as warm as possible for them and then once they had gone to new homes the cold snap returned. This should be evened out again by next month and I’ll probably adjust it to £120 a month to keep it in credit for next winter. Normally I take our ‘Envelopes’ money out in cash each month but May was a bit different as I had some cash left over (last month envelopes and spare birthday money) which we used first of all and then topped up with the card, in hindsight this was a bad idea as it meant we spent more than intended in what was already an expensive month. That’s why the spend in the Dog and Petrol category is low, we used the cash on those first and these numbers are just the top-up. The Grocery spend is slightly higher than usual, it would usually be around £245 but they Misc category is way off, this should be more like £50 so this was a massive overspend this month. Cleaner – I’ll probably get some stick/hate for this one along the lines of ‘Are you too lazy to do you’re own cleaning?’ or ‘You shouldn’t have the luxury of a cleaner when you are getting out of debt’. Think what you will but it is a luxury we are happy to pay for, I work a LOT and when I do have some spare time I would prefer to not spending it cleaning…which is kind of ironic since I used to be a cleaner but it’s a lot easier to get done when you’re getting paid for it! Dog Insurance – This is probably a bit higher than most people dog insurance (and it’ll actually go up a bit next month) but as we are hobby breeders our girls have whelping insurance as well as a standard policy. Barclaycard – This is low this month, lower than the usual minimum payment amount of around £78, as I set up a new direct debit for it that will come into affect tomorrow (it somehow adjusted the amount that needed to be paid in May). The minimum will now be paid by DD each month and then I will make extra payments to is as and when we are able to throughout the month. Zopa – This is the standard monthly minimum payment. As explained above in the Income category, our payday at work isn’t until the 15th so this ‘Rollover’ amount is what needs to be left in the account at the end of the month to cover the payments coming out until the 15th of the next month. Gym Misc – This was for a few various building items like sandpaper, filler, paint. Chris – We asked my Uncle to come in and help finish off the gym for us, we had £585 in the Gym sinking fund for this and his quote for the work came in at £600! Mirrors – One of the main features in the gym is going to be a massive mirror on one wall, I’ve had to order it in as two 1 meter wide by 2 meter tall perspex mirrors. The are expensive but they are a lot cheaper than actual glass mirrors. As you can see it wasn’t the most productive month for us debt pay off wise but we did manage to finish the big gym project which has been over a year in the making! If we stick to budget in June we should have at least an extra £400 to pay to the Barclaycard…as long as the car passes it’s MOT ok…keep your fingers crossed for us? Do you do a monthly budget reports? If so please leave a link below, I’d love to read it! 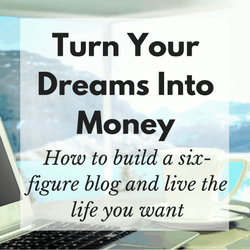 £260 is a great amount to make from your blog – go you! Was that from ads, affiliates or sponsored posts? Or a combination? I had to MOT 2 cars last month – 1 passed no problem at all, the other cost me £500! And it’s the car that I was SORNing 8 days later – aargh! Fingers crossed this month for hubby’s van as I also have car insurance due. May/June are very costly on the vehicle front in the Tuppenny household. Can’t wait to go down to one car when we retire! You did fab and are totally kicking it! £260 is a great amount and you should feel proud of yourself! Thanks for joining #MondayMoney. Hope to see you next week. Our cleaner is an integral part of keeping my sanity month to month lol she doesn’t come when we have a litter of puppies and the house is in even more chaos for those 8 weeks and it drives me mad! Thanks for sharing. 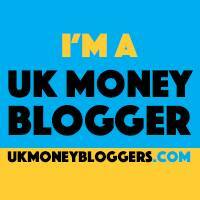 I’d love to use everydollar – how do you get in in the UK?